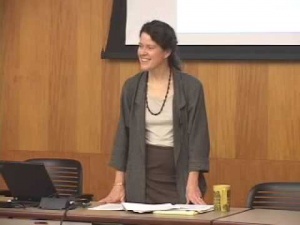 In this course, Prof. Cymie R. Payne gives video lectures on International Environmental Law. This course is a seminar on the role of law in the management of international environmental problems. The course will begin with a brief introduction to public international law as it relates to the environment and a discussion of what international environmental law means. Participants in the course will study a range of environmental issues, legal sources, and institutions. The original name of this course is: Law 27171, 001, Law 27171, 002 - International Environmental Law. Prof. Cymie R. Payne in Lecture 12: Hazardous Materials.